You'll be £10.99 closer to your next £10.00 credit when you purchase Foul Deeds and Suspicious Deaths in Southport. What's this? 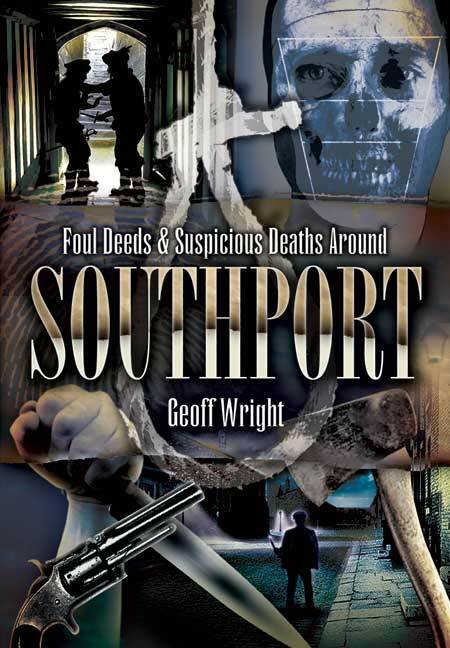 Foul Deeds and Suspicious Deaths Around Southport takes the reader on a sinister journey through centuries of local crime and conspiracy, meeting villains of all sorts along the way - cut-throats and poisoners, murderous lovers, baby-farmers and baby-killers, burglars, fraudsters and the so-called 'doctor of death'. The book records crime and punishment in Southport in all its shocking variety. Among the many acts of wickedness Geoff Wright describes are the shoemaker murder, the disappearance of Alfred Brewer, the unsolved murder of William Rhodes, the drugging of Councillor Fletcher, the wife-killing Dr Clements and the baffling murder of businessman Harry Baker. His chronicle of Southport's hidden history - the history this Victorian seaside resort would prefer to forget - will be compelling reading for anyone who is interested in the dark side of human nature.